The Dynasty 3620 Series is made from finest white synthetic excellent for mixed-media oils and acrylics. 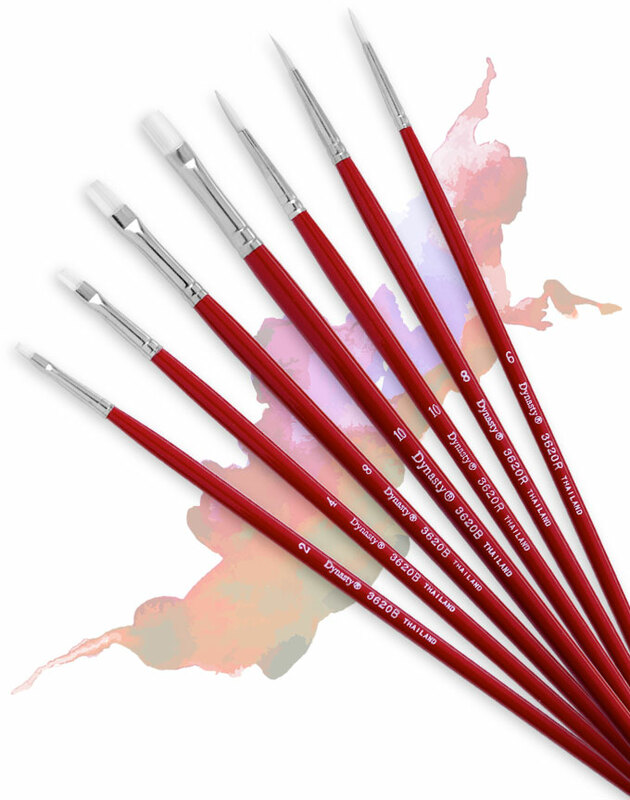 Its seamless nickel-plated ferrules and long deep red lacquered dipped handles are durable and affordable. This is the perfect program for the advanced artist and collegiate art studio. 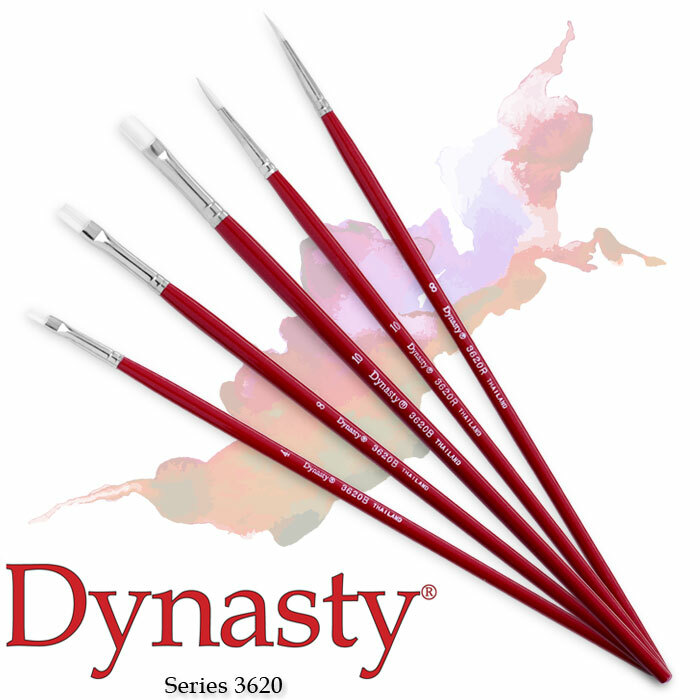 Purchase Dynasty 3620 Series Brushes At These Fine Retailers!